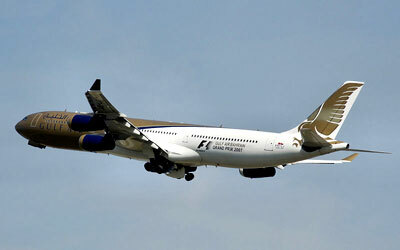 Gulf Air is Kingdom of Bahrain national airline carrier. The airline company started operations in 1950 with main hub located at Bahrain International Airport and headquarters situated in the city of Manama, Bahrain. With a fleet size of 27, Gulf Air serves scheduled international flight services to 40 cities. Aside from being part of the oneworld global explorer fare program, Gulf Air also signed codeshare agreements with other airlines and formed special frequent flyer program partnerships of both Jet Airways and Oman Air.